When you become an investor at a very young age, unconsciously often make many mistakes. The reason is because you do not have a teacher who can show you the right way. Why not have a teacher? The reason, because of the egoist impulse that is still very high and feel what he thinks is the most correct so they think asking for advice and opinions of professional experts is no use. Worse yet this young investor is not disciplined, still likes also quickly tempted by the offer of business investment that he said can get big profits. Later, due to the high selfish attitude that it has drained away the source of investment capital in their savings to spend carelessly. This is a common sign of most young investors who are just learning to make money through a business investment. The success of a business investment is closely related to the emotional atmosphere of a person. Emotions become the driving force that dominates the thinking of a young investor when making business investment decisions. So, when you have the intention to become an investor it's good to know you belong to which investor category. The character of this investor can we know from the way of thinking that easily change the mind. The slightest change in market conditions will make them uncomfortable and react quickly. A further consequence of this type of investor is always a victim with misleading market issues. If your personality includes this type of investor then the right business investment choice and suitable is to choose stock or forex investment. The main character of this type of investor always thinks about everything in a structured and clinging cause-and-effect relationship to an event. They are very fond of analyzing the emerging data, trying to dig deeper information that is felt to have a strong influence on an event. Well if you include this type of investor, then the right business investment choice is property investment and or stock investment. This type of investor has a keen sense of caution before making an investment decision. In the shell of their heads just thinking about how to guard and save the investments that have been made. High self-esteem often leads them to believe in their own judgment rather than professional judgment. Well if you have the character of this model investors then the investment choice falls on the type of mutual fund business investment. This investment is rarely ups and downs, so it also has a small market risk. From the name alone is predictable, this type of investors prefer to work alone with a sustained ability that is considered quite reliable. If there are suggestions from other parties, wait and get ready to be thrown out to sea. This type of investor is arguably a tough fighter, they are ready with all the risks of their own decisions. There is no regret at all if the decision turned out to be behind the wrong day. All types of investments can be done by investors of this character. 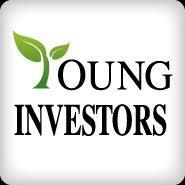 Very many young investors often start their investments using various types of bank credit facilities. This is a deadly trap that will change your life like a zombie. Not many people know that the various types of credit facilities that offer it often charge a very high interest rate, ranging from 3 to 4% every month. The problem, if interest is so high then where we benefit? We all know, the benefits at the beginning of every new investment tend to be very small, so it is impossible to pay the loan interest rate is so high, especially if it has been added principal loan. Actually there is a positive side of being a young investor let alone his unmarried status. Opportunity to succeed in business already is in sight. In contrast to young investors who already have families, their dependents are always increasing over time so that the total failure to achieve business success, So take every risk when you are young and not married. Many financial experts advise invest your money into the form of a portfolio such as stocks and mutual funds. This is one of the best ways to reap long-term benefits. As a young man start investing as early as possible because waiting for the right time is not there at all. The right moment is today, when you are poor, when the financial condition is shaken great, when you have nothing. It must be understood consciously, the money you have has enough time to multiply. Whoever he always had the ideals want to quickly get rich not to mention a young investor. They are always impatient to wait for the time to walk from year to year. As a result when it comes to an investment offering that promises high profits in the short term, they are not thinking long and trying to capture the investment offer. Furthermore, what happens is they are trapped inside, because nonsense there is a short-term investment that can provide high profits. Due to the lack of experience and high emotional drives wanting to get rich quick, often young investors make the mistake of investing in government prohibited schemes. Such a scheme is known as a ponzi scheme with several investment variants. Simple examples like chain arisan. Avoid investment scheme of this model if you want your investment capital will not run out in vain. In the twenty-first century, thinking of an early retirement plan seems impossible for a young investor. This is obviously a fatal error and very serious. Delaying an early retirement plan means that it has minimized its own space for immediate success. Remember, life responsibilities will always increase with age, and when you are conscious of preparing for retirement by saving, the room is closed. The often overlooked young investor is the importance of a healthy self. They think, the condition of the body is free from various complaints of disease then the health insurance it becomes unimportant. Though not a matter of whether or not healthy is important here, but the premium paid price side tend to be lower in people who are young age in the appeal of old age. The influence of news coverage in newspapers or television media in fact much affect the minds of young investors. It may sound very good information heard, such as market conditions, but then do not be affected. Remember, the investment point of view is overwhelming. It could be when there is a television show discussing the investment with expert resource in micro economy then the topic discussed must also be about micro economy. Also the macroeconomists will explore thoroughly investment using the macro-economic perspective as well. So do your own research and make the right decisions with the addition of some brainstorming expert advice that you know well. 10. Do not know how much to invest. Using all the funds owned to one type of investment, is the tenth form of mistake. This young investor impressed do not know how much funding needed when investing. Immediately avoid this kind of work, do careful planning by carefully calculating the costs to be incurred when investing. Indeed, in the world of investments, past records in the form of data many provide information about the trends that formed from a business investment. Many young investors still use this perspective to make investment decisions. But at the same time must also be aware of past data can not guarantee future investment success. Always remember, we can not get rich overnight. it takes patience to pass through every process of building a business investment.